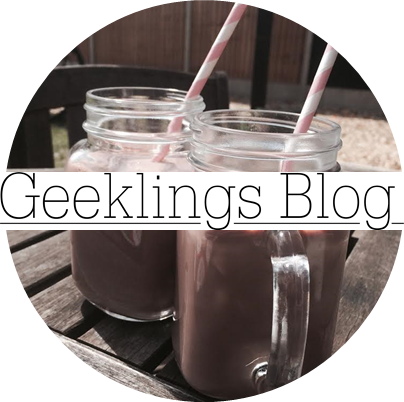 Geeklings Blog x: All my Favourites! Ok, so I was wondering whether to do a favourites for June, but I can only really think of a couple of products which have stood out for me as being awesome this month, so I might save them for next month. Instead I'm doing an all time favourites post. Hope that's alright? 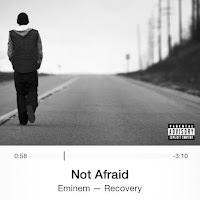 Music: Flawless, Not Afraid or Lose Yourself, I was here, Here, most Sia songs XD, Smells like Teen Spirit and Come as You Are. Colour: Grey, rose gold, mint green, lilac. 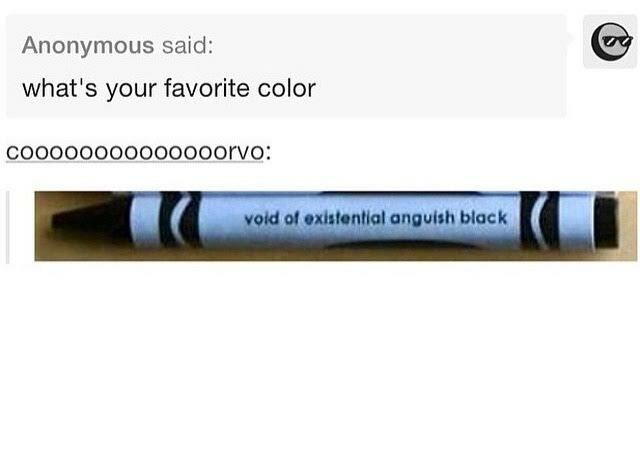 Surprisingly not 'void of existential black'! Number: 3. Look on the emoji challenge post a few weeks ago and it will explain, aha. Place: Camden Market or Florida... although I am going to Greece and then New York soon so I think they may be up there soon! 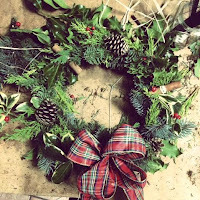 Season: Autumn or Winter because you can wear loads of comfy layers, it sometimes snows and of course Christmas is in winter and my birthday is in Autumn! 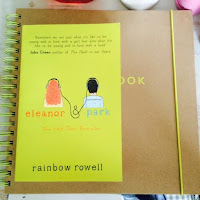 Book: Looking for Alaska or the Maze Runner... started reading Eleanor and Park after wanting to buy it for so long but never getting the chance, and it is so cute! I'm getting the feeling it's going to be one of my favourites if it carries on as good as it is now! Favourite food: Hobnobs dipped into Nutella (for when I'm feeling poorly to cheer me up), or cranberry and coconut crispbreads! Chocolate bar: Hands down 'Double Decker's'! Love 'em! Flake or Crunchie being a runner up because they're tasty as well, alongside Galaxy cookie crumble bars... mmm! 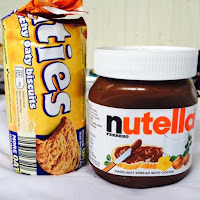 Shop: Urban Outfitters! I just walk in and want to buy nearly everything, and the staff are always have such a cool style! TV shows: I liked the most recent Broadchurch series, but I love Friends, The Big Bang Theory, The IT crowd (don't play them anymore *sniffle*) and the Great British Bake off... although it always makes me want cake! YouTubers: I really love 'sunbeamsjess', 'Zoella', 'Velvetghost', 'Thatcherjoe' and I've recently been getting into 'Pewdiepie'. At the moment though I tend to binge watch sunbeamsjess (Jess) the most, her voice is so soothing and I love her style XD. Flower: Poppies (even though I don't really like the colour red), or daisies because they're so dainty! Names: I've recently started liking the name 'Fleur', but I also like the names Astrid, Scout, Alaska (from my favourite book! ), Poppy, Blue, Elsie, Matilda and Kate for girls... and for boys I like Jared, Ash, Seb/ Sebastian and Alfie.